Bolt Dropper hardware perfect for use near salt water, fresh water and other related projects. Rated for both indoor and outdoor use. Superior corrosion resistance to other types of metal. 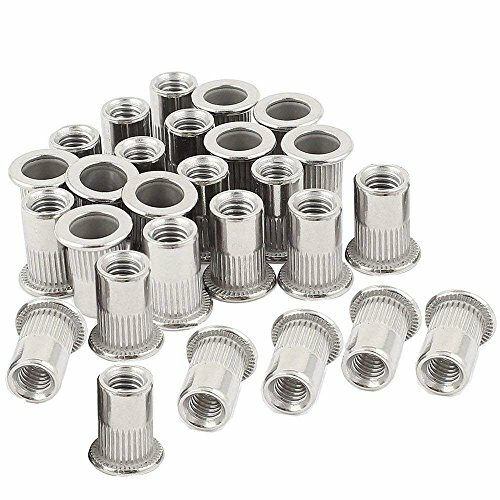 HIGH QUALITY ALUMINUM: These Rivets are made of High Quality Aluminum which is one of the highest forms of corrosion resistance, making it last longer than other hardware on the market today. RIVETS THAT YOU CAN DEPEND ON: Our hardware is very strong and is great for both indoor and outdoor use. Aluminum rivets are superior to regular steel and provide excellent rust resistance in salt water applications. 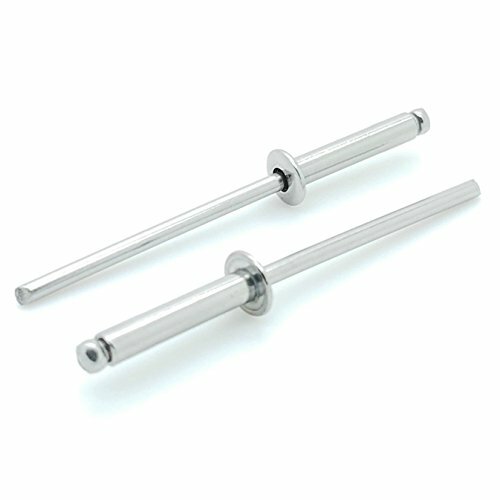 GREAT TO KEEP AROUND: Bolt Dropper hardware is great to have around for use in wood and wet environments. Bolt Dropper hardware is the highest quality available on the market and we stand by our claim 100%. They are strong, corrosion resistant and will support all of your projects. #6-2 (3/16" Diameter, 0. 063 - 0. 125 Grip). 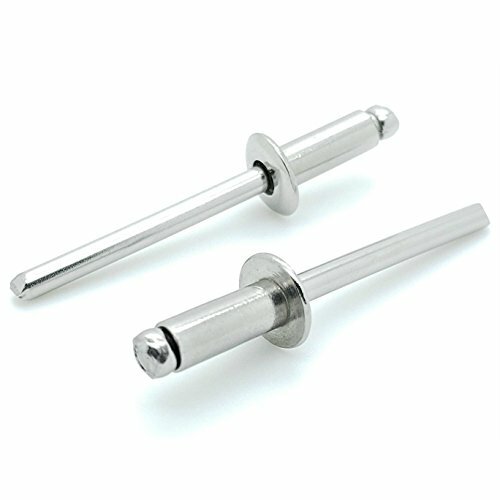 Aluminum Rivet And Steel Mandrel. Recommended Drill Size: #11 (. 194). 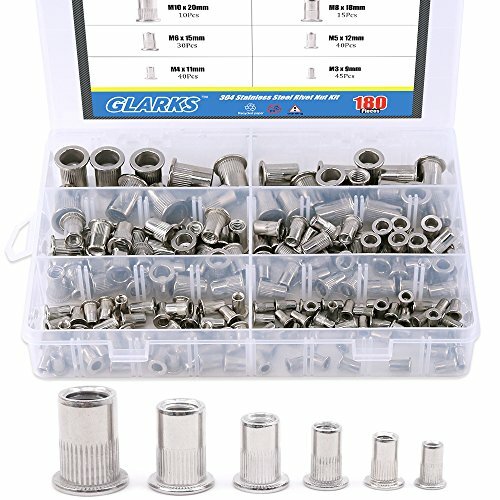 Bulk Package Of 1000 Blind Rivets. Ideal For A Wide Range Of Applications. #6-10 (3/16" Diameter, 0. 510 - 0. 625 Grip). 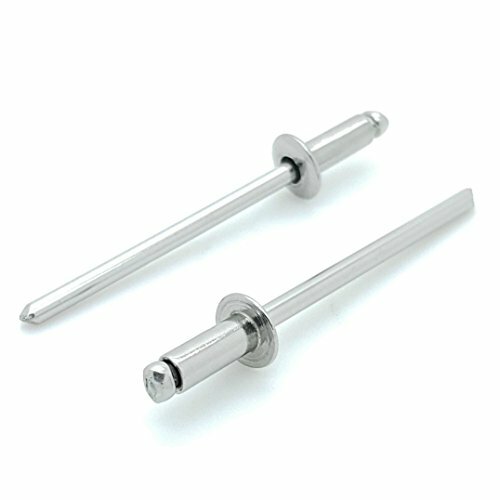 Aluminum Rivet And Steel Mandrel. Recommended Drill Size: #11 (. 194). 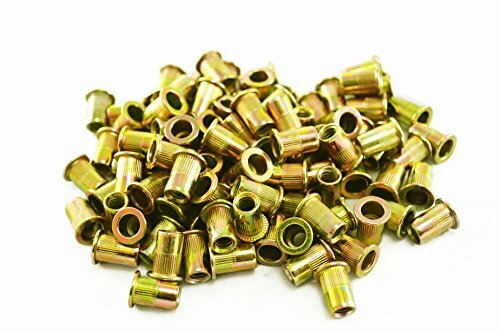 Package Of 100 Blind Rivets. Ideal For A Wide Range Of Applications. #6-12 (3/16" Diameter, 0. 626 - 0. 750 Grip). 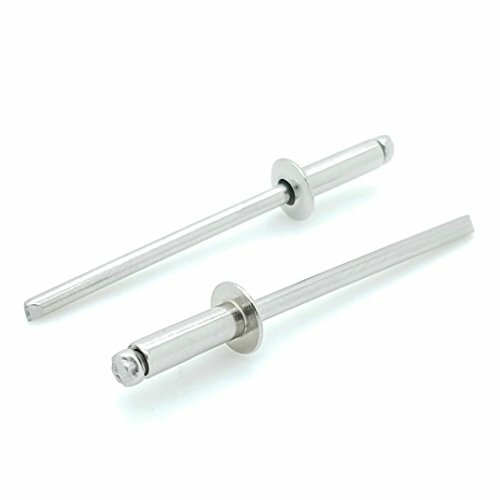 Aluminum Rivet And Steel Mandrel. Recommended Drill Size: #11 (. 194). 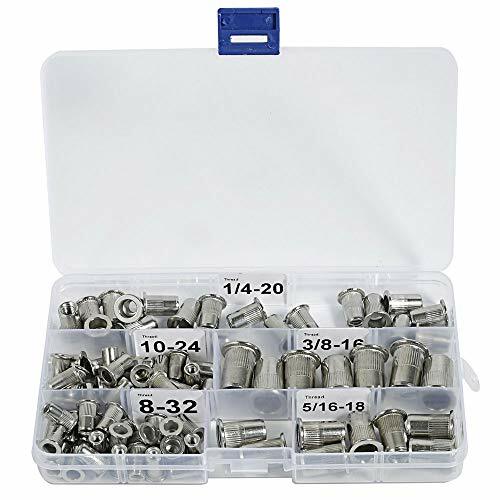 Bulk Package Of 1000 Blind Rivets. Ideal For A Wide Range Of Applications. #4-8 (1/8" Diameter, 0. 376 - 0. 500 Grip). 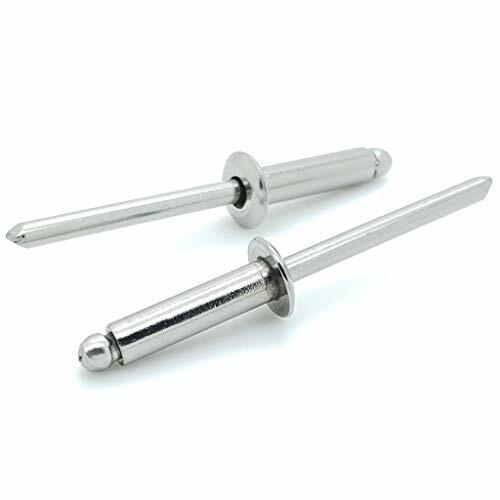 304 Stainless Steel Rivet And Mandrel. Recommended Drill Size: #30 (. 1285). 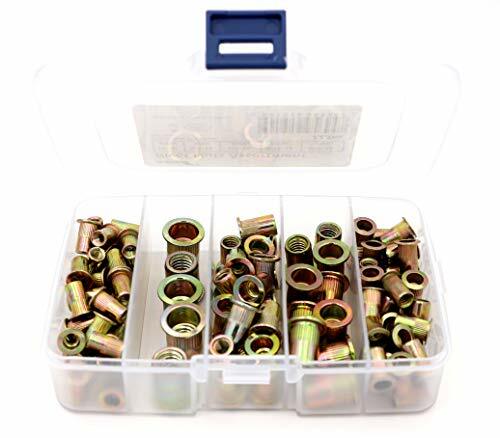 Bulk Package Of 1000 Blind Rivets. Perfect For Corrosive Environments. 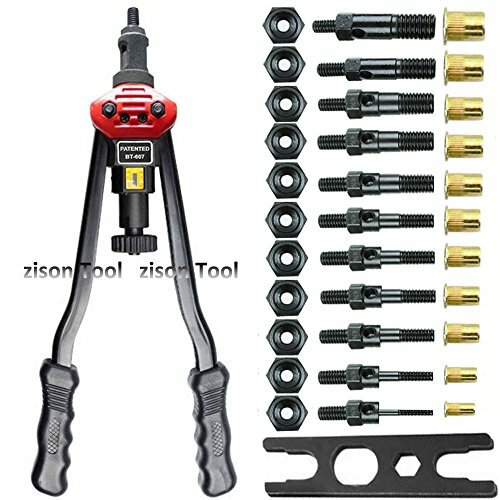 #4-8 (1/8" Diameter, 0.376 - 0.500 Grip). 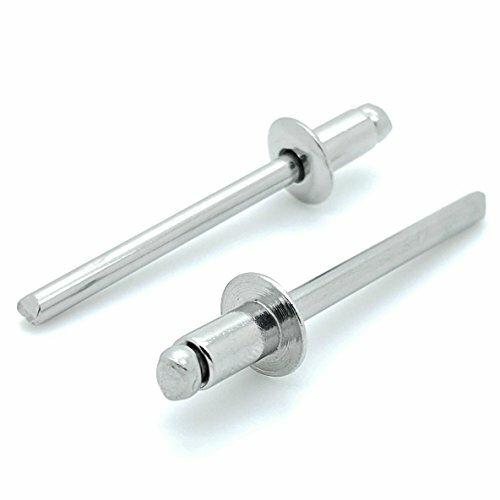 Aluminum Rivet And Steel Mandrel. 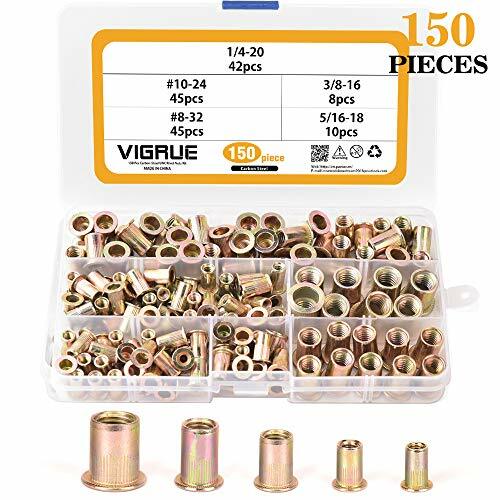 Recommended Drill Size: #30 (.1285). 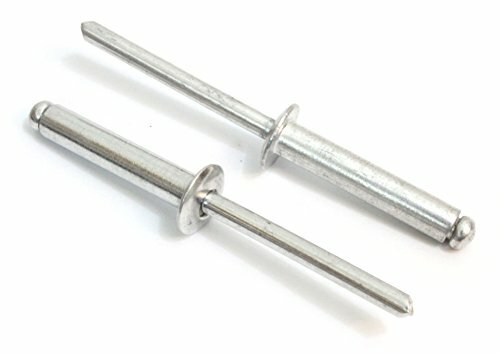 Bulk Package Of 1000 Blind Rivets. Ideal For A Wide Range Of Applications.